REI Flagship Store in Washington, DC featuring the Birthplace of Rivers! 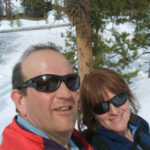 Recreational Equipment Inc, or REI, is one of the many outdoor recreation businesses that support public lands stewardship through grants and their membership in the Conservation Alliance. REI’s new DC Flagship store opens this week! 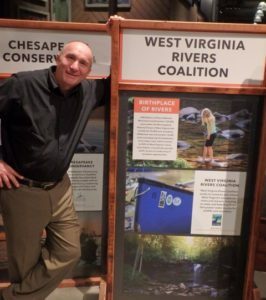 The Patagonia shop within the store has a Birthplace of Rivers display, pictured above, where you can cast your vote for WV Rivers to receive a grant to keep fighting for the monument. 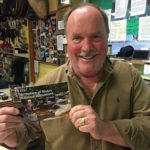 Check out the display at the grand opening party and read this great REI blog by Conservation Alliance Executive Director John Sterling. We need more seasonal balance in Pocahontas County to attract tourists year round. The Birthplace of Rivers proposal is a perfect fit for this challenge. When you invest your money to grow your business, you need assurance that conditions on the ground won’t change under your feet. A monument grants certainty for the recreation access that defines our outdoor tourism economy.